Steven R. Sawyer is an experienced safety consultant, investigator, and trainer for agribusiness and general industry. He helps clients identify hazards, reduce risks, and prevent incidents. Mr. Sawyer also provides forensic investigations and consulting services to insurance carriers and lawyers, both plaintiff and defense in cases involving claims of workplace safety issues, personal injury, wrongful death and catastrophic injury. 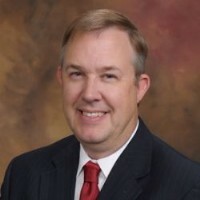 A safety and risk management consultant, Steven R. Sawyer, ARM, MS, CSP works with companies to identify hazardous situations and compliance issues and reduce risks. He investigates workplace accidents and incidents, develops recommendations, creates safety programs, and provides training (including OSHA 10 and 30 Hour and Ives Certified Operator Training on heavy equipment), among other services. He has led companies through OSHA inspections, assisted fertilizer companies with Environmental Protection Agency Risk Management Plan Audits for anhydrous ammonia, and trained commercial drivers hauling hazardous materials to comply with US DOT 49 CFR parts 171-181. Since 1999, Steven R. Sawyer, ARM, MS, CSP, has been active in the workplace safety industry, with a focus on high-hazard agribusinesses. This has culminated in a special expertise in OSHA grain handling standards and grain bin engulfment and prevention. And although important in general industry too - energy hazards and lockout/tagout (LO/TO), machine guarding, and confined spaces - are especially problematic in the agriculture industry and have received special attention from Sawyer, along with heavy equipment and specialized equipment.